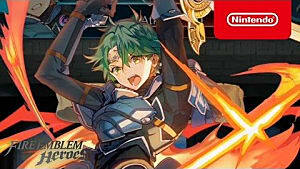 Fire Emblem Heroes is rising up the ranks in the major app stores, proving a successful first week for Nintendo’s niche franchise. 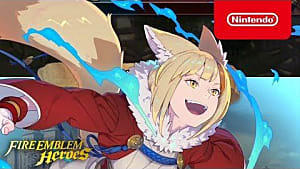 The “Gacha” styled game encourages players to spend their in-game currency to summon heroes from different entries in the series. 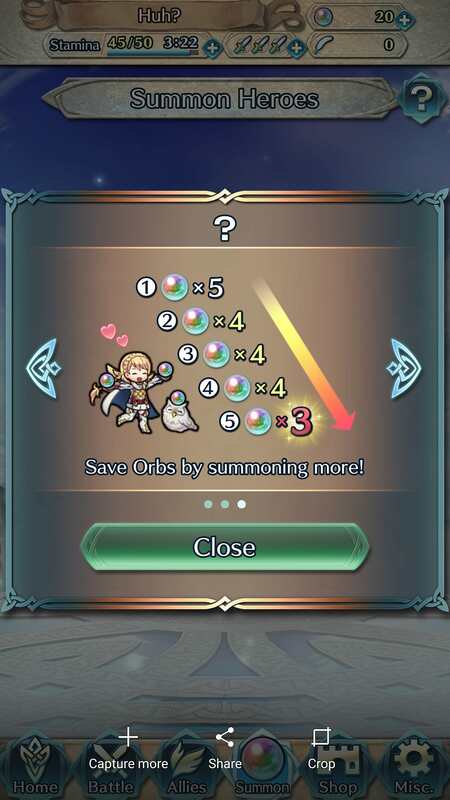 Each hero can be summoned with a rank of three to five stars -- and can be upgraded to five stars using in-game resources. However, that can be a lengthy process. If you want to start the game off on a strong foot, here’s the best way to get the heroes you want right from the start. Skip the “Link Nintendo Account” option. 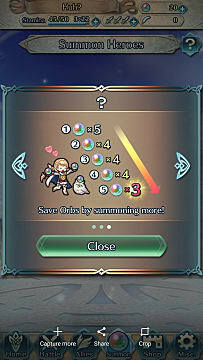 Finish the tutorial and collect 15 orbs. Collect 2 orbs from the Owl inside your Home Castle. Go to the Summon Page and start pulling your heroes. If you’re unsatisfied with your heroes, it’s time to start over. iOS users: Uninstall and reinstall the game. 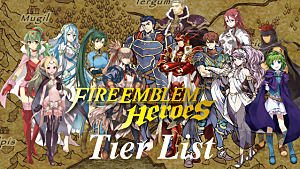 Android: Go to System Settings -- Apps -- Fire Emblem Heroes -- Storage -- Clear Data. 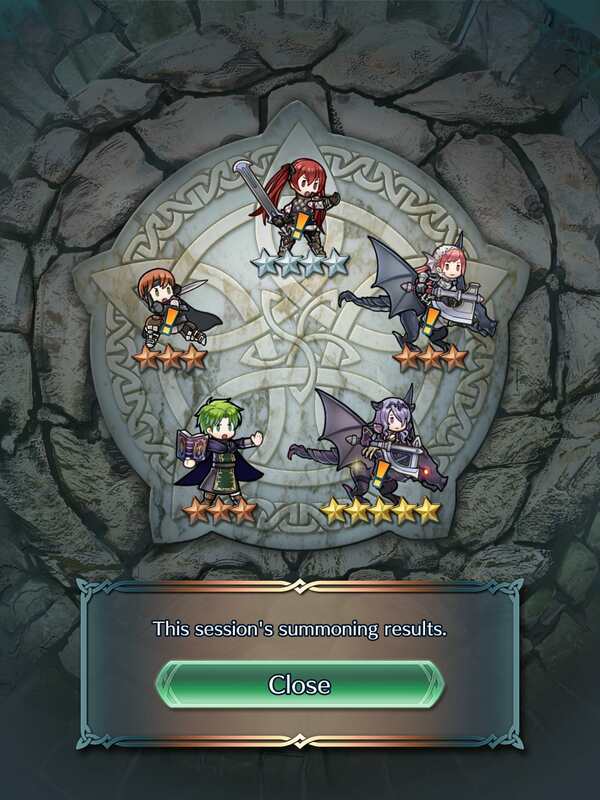 Repeat from Step 1 until you get a good pull. * For the month of February you can actually replay the second mission and get an orb for completing the “KO Flying Foes” quest. This is faster than playing through the third mission, but will only be available for the month of February. As you can probably already tell, this can be a lengthy process if you’re looking for a specific hero -- or want two characters with five stars. Here are a few tips to speed up the process. You have to redownload all the game data each time, and using mobile data can slow down the process. This will speed up the main story missions as you go through them over and over again. None of your characters will die and you’re guaranteed to beat the early missions each time with Auto-Battle. If you’re looking for a specific hero (like Hector), knowing their hero type will speed up the process. 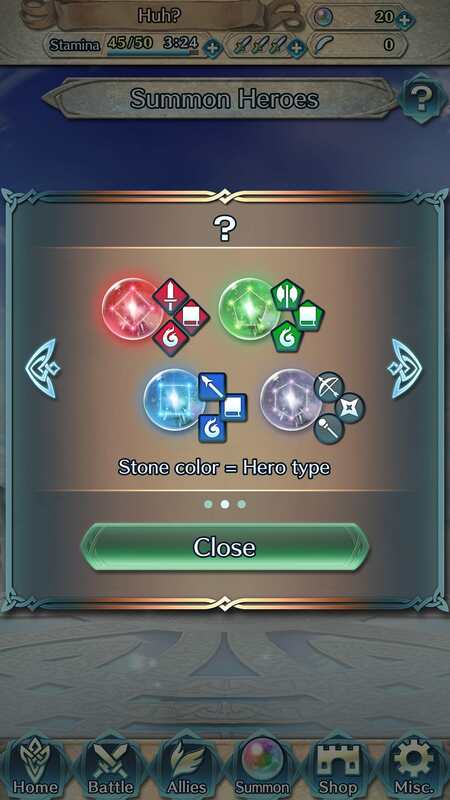 When you get to the summon page, the different colored symbols represent hero types. 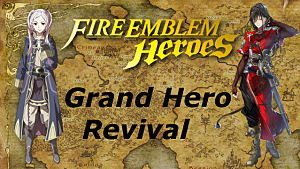 If you don’t see the type of hero you’re looking for, you can restart without going through the summon animations. 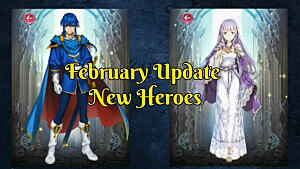 There are two different options on the summon page -- Legendary Heroes and Deep Devotion. 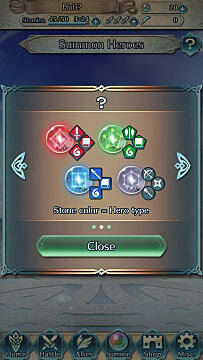 The heroes displayed on each banner can only be obtained within that focus. So if you want to pull our boy Roy, make sure you only select the Deep Devotion focus. If you have a rooted Android device, instead of deleting the game data in System Settings you can go to Directory -- Data -- com.nintendo.zaba/shared_prefs. Delete that folder and you won’t have to redownload everything. Already linked your Nintendo Account? In the game go to the Misc. option in the bottom right, then hit Account Management -- Delete All Data. This will allow you to reinstall the game and link your Nintendo Account again. This can be a very lengthy process. Remember, this is only to get good characters to start the game off, you’ll have plenty of chances to get more heroes as you progress through the game. Have you managed to reroll and beat the odds? Let me know in the comments below!